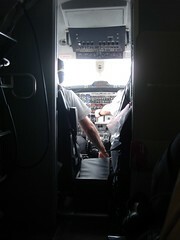 On Wednesday May 23, 2012 I found myself on a puddle jumper plane on my way to Saint John, New Brunswick. No room for a flight attendant or a bathroom! Shortly before 10am I arrived at the Canadian Blood Services (CBS) building in Saint John located just across the street (but down a giant slope) from the TTP treatment hospital (Saint John Regional Hospital). There I met with Michelle Thibodeau, Communications Specialist - Atlantic CBS, who helped to organize our involvement in the first Passion for Plasma blood drive and also arranged a room for a patient support group meeting to follow the same day. Posing with Lori Carle, Wave Radio host. Saint John is one of a few blood donation clinics that is equipped to collect blood plasma donations from donors. 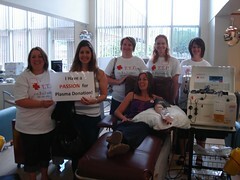 I was thrilled to be part of the first Passion for Plasma blood drive event to recognize plasma donors and encourage not only plasma donation but whole blood donation as well. Donations of either method result in life saving blood products required for TTP treatment. 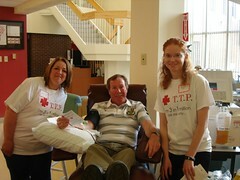 I was joined by 4 other (more local) TTP patients. Together we educated donors about TTP and encouraged participants to join the Answering TTP Foundation'sCanadian Blood Services (CBS) Partner’s for Life (PFL) team. Joining our PFL team enables us to thank donors regularly via email communication and keep them engaged by updating them with new patient stories. Details of how to join our Partner's for Life team are available by clicking here. 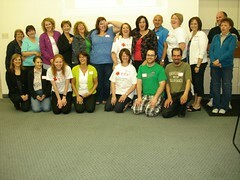 The first Saint John TTP Support Group & Info Session was a wild success. Dr. Comeau (Hematologist Saint John Regional Hospital) gave an overview on TTP and answered general questions for the group. Following his presentation I shared my story to help warm the room for break out groups to enable participants to get to know each other. To wrap up the support group, Catherine Cook bravely shared her TTP experience with TTP. Her story is uploaded to the AnsweringTTP.org website (click here). Catherine has also been an avid fundraiser even while in recovery. 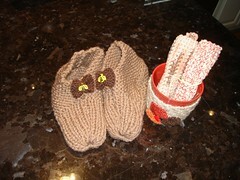 She has knitted booties, dish clothes and cup warmers to contribute funds to benefit Answering TTP Foundation. With each sale she includes information about TTP to help raise awareness. Many thanks to Arlene, local Apheresis nurse, for her support in organizing this successful support session. The group is already looking forward to another meeting next year. In the fall, the group plans to participate in the fall Walk to Answer TTP Together (click here to register today! ).